Massa was sidelined for rest of the 2009 season after his terrifying encounter with a spring during qualifying for the Hungarian Grand Prix. He needed some reconstructive surgery but thankfully he was otherwise OK - though he wouldn’t be racing again until 2010. So, instead of Schumacher, who would get the gig? Would Ferrari poach someone from another team? Perhaps a recently retired driver with tons of experience like David Coulthard would make a brief comeback, or maybe a young driver without a seat like Tonio Liuzzi would get a chance. 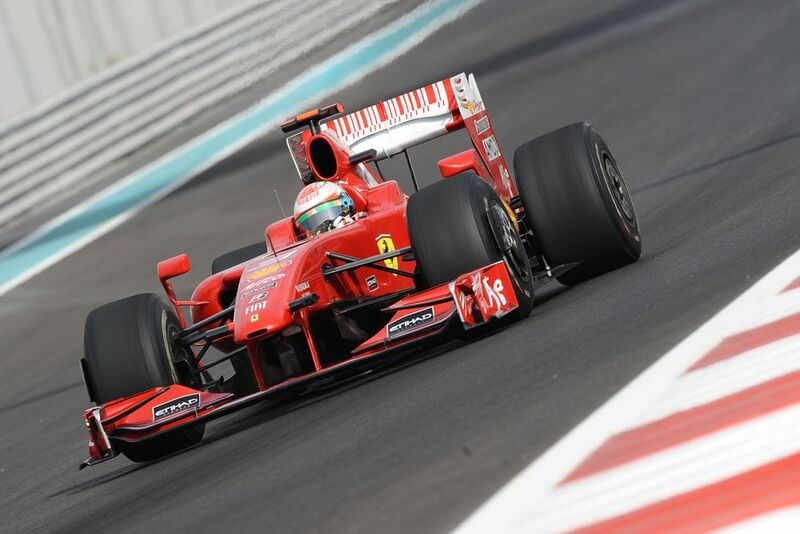 In the end Ferrari went with neither of those options and instead opted to pick one of its own test drivers. 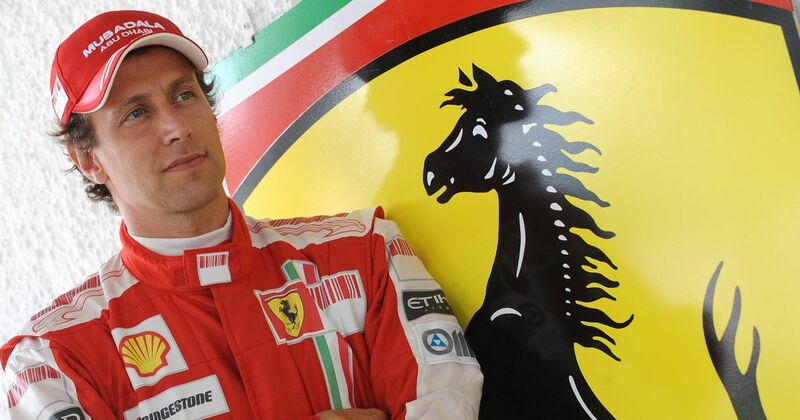 A sensible choice you’d think, but it wasn’t Marc Gené (who’d successfully subbed for Williams in 2003 and 2004) who got the nod, it was 38-year-old Luca Badoer, someone who hadn’t competed in a Grand Prix since the previous century, and hadn’t driven an F1 car since the end of 2008! Badoer was something of an unsung hero of the dominant Ferrari team of the early 2000s. Whilst Schumacher was taking all the glory on the track it was Badoer who spent hours and hours pounding around the Fiorano test track, covering thousands of miles and helping develop the cars. In the latter part of the decade increasing restrictions and the eventual ban on in-season testing meant that Badoer had less and less track time. 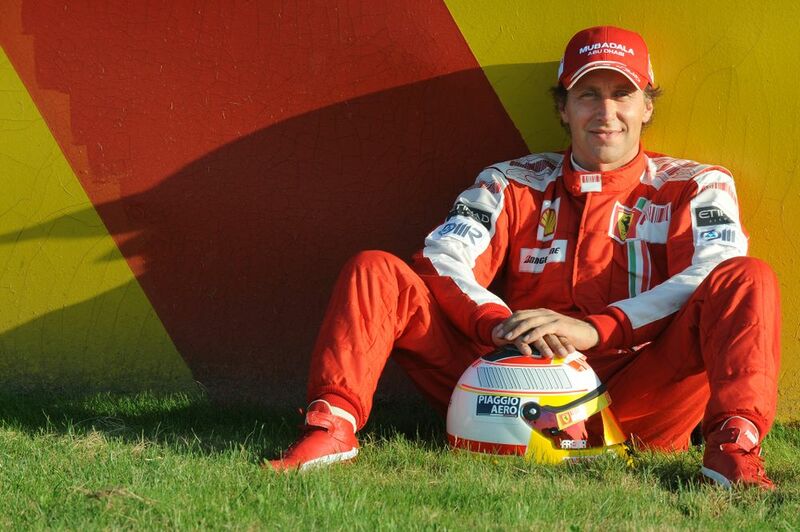 But Ferrari was grateful for his services to the team (he’d been with them since 1997 and didn’t leave until the end of 2010) and figured that, since it wasn’t having the best of seasons anyway, it’d be a nice gesture to reward him with a race seat. Sadly for both parties, things did not go well. Badoer was thrown in at the deep end for his first race back at the European Grand Prix at the Valencia street circuit. The first practice session was the first time he’d even driven the recalcitrant F60 and he was several seconds off the pace - except in the pit lane, where he was nailed for speeding four times. By the time qualifying rolled around he’d improved, but not by much - he qualified dead last, 1.5 seconds off of 19th-placed Jaime Alguersuari in the Toro Rosso. Thanks to the KERS system in the Ferrari he had a monster start and shot up to 14th on the first lap, but come the end he was again right at the back, a lap down, his lap times way off that of teammate Kimi Raikkonen. He capped off a dismal return to the sport by bumping into Adrian Sutil’s Force India in parc fermé - hardly a massive incident, but still pretty embarrassing. With just a week between the European and Belgian Grands Prix, Badoer retained his seat for Spa. Great - he had a race weekend of experience under his belt now and he was at a track he knew and had raced at before. Surely he’d be much more competitive…right? Well, yes, kind of, but not by enough. Last in qualifying again (this time just a few tenths off of the pack) and last in the race again, he was on the same lap as race-winner Raikkonen but almost 50 seconds behind the next car. He did set the fastest first sector of the race though, so clearly he had Eau Rouge absolutely nailed. 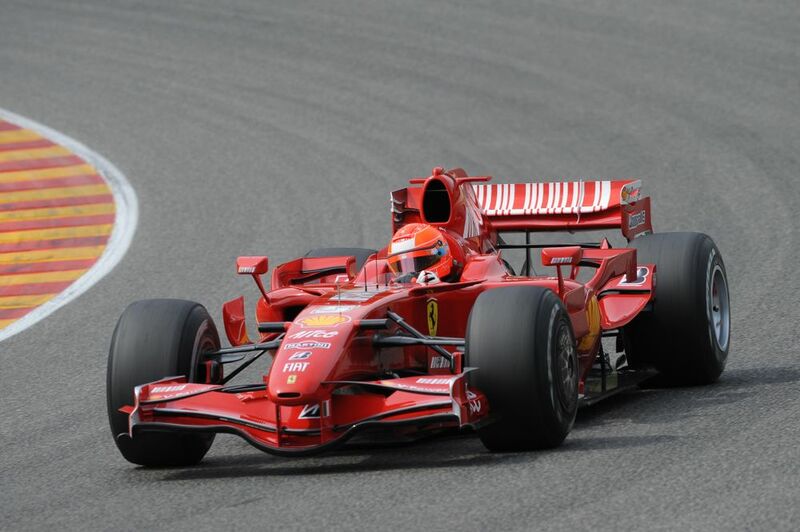 At this point Badoer’s lack of pace outweighed Ferraris loyalty to him, and for the rest of the season he was replaced by Giancarlo Fisichella, who’d almost won the Belgian GP in a Force India. And with that, Badoer’s career as an F1 racing driver came to a definitive end. Thanks to his dodgy performances fans latched on to him and the jokes came thick and fast. 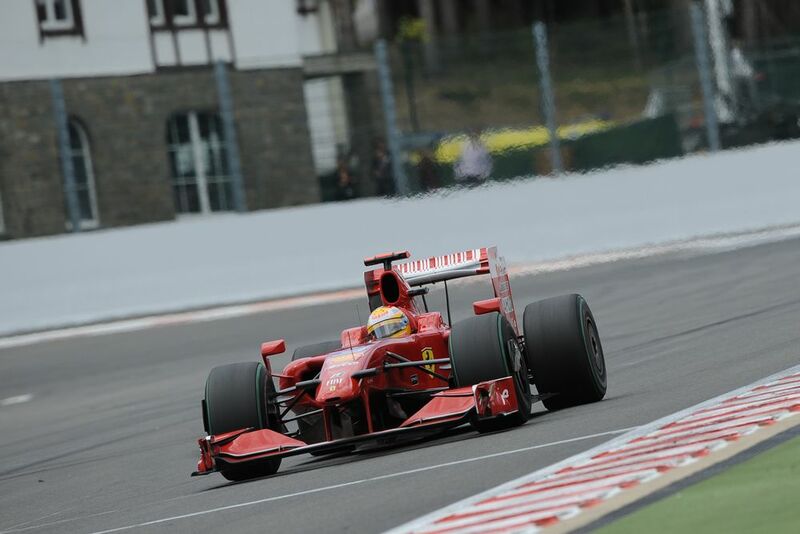 ‘Luca Badoer’ became ‘Look-how Bad-you-are’ and whenever he ran wide it wasn’t because he’d made a mistake, it was because he was ‘rubbering in his overtaking lines’. As a result he now occasionally seems to crop up in lists of the worst F1 drivers ever. But despite his dismal races with Ferrari and the fact that no other driver has started more races without scoring a point (though he did come heartbreakingly close in the 1999 European GP), it’s a grossly unfair assessment. Never mind the fact that in 1992 he won the Formula 3000 championship, beating the likes of Rubens Barrichello, David Coulthard and Olivier Panis, but in the 1990s he drove for Scuderia Italia, Minardi and Forti - hardly the kind of teams known for regular appearances in the points. Another point to remember is that the Badoer’s replacement, Fisichella, didn’t exactly set the world alight when he joined the team. He couldn’t score any points with the F60 either and frequently found himself towards the back of the grid as he struggled to get on top of the challenges of the new car, in particular the way KERS affected the braking. Even an on-form driver with current F1 experience couldn’t adapt to a new car without any prior testing. And if Fisi couldn’t adapt, then what chance did poor Badoer have?